Like many moms who travel frequently, I keep a bag packed with all my cosmetics, ready to drop into a suitcase whenever I hit the road. Turns out that may not be the best thing. I met with beauty expert Rebekah George, who told me that women with allergies (me and my 3 daughters) need to be particularly attuned to the expiration date on their makeup. George, a spokesperson for Zyrtec and the perils of “allergy face” – watery eyes, red nose and puffy face – recommends keeping foundation and concealers (two “allergy face” remedies) for only 6 months, and mascara for just 2 or 3 months. Since I basically keep the cosmetics in that travel bag till they start giving off a bad odor (the olfactory signal that your makeup has turned) this was a costly lesson. 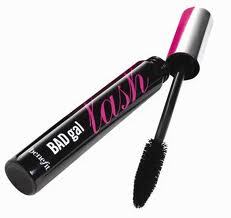 Toss mascara after 2 or 3 monthsBut with the extreme changes in temperature when you fly, or store your luggage in the trunk, you are shortening the life span of your makeup. And with the gunk that comes out of my eyes when spring allergies kick in, I think I need to freshen my travel bag.